Severe Limitations of IPCC Understanding And Explanation Of Monsoons As Mechanisms Of Massive Energy Transfer. | Watts Up With That? In order to make their hypothesis that human CO2 is causing global warming work, a small group at or associated with the Climatic Research Unit (CRU) used the Intergovernmental Panel on Climate Change (IPCC) to ignore or rewrite data, create false mechanisms, misuse science and the scientific method. One sign of malfeasance is if the claim is made from computer model output. A second sign is a design to overthrow an existing explanation without adequate proof it is inadequate. An almost guaranteed sign is a combination of both. They are aided and abetted by people acting for a variety of reasons but rarely with understanding of climatology. Usually they study one part of the complex, dynamic, open system that is global climate out of context. Two recent articles by Willis Eschenbach here and here speak to the massive energy transfer from the surplus region of the atmosphere to the deficit region (See Figure 1(A). Even a small change in this energy transfer swamps a human caused CO2 warming signal. Monsoons are a major part of that transfer. They also cause scientific and therefore political grief for the IPCC and their associates. Typically, scientific gyrations to avoid identifying anything that challenges the hypothesis only serve to undermine it. This was achieved as follows. The duo used a computer-generated, water-covered, hypothetical earth (an “aquaplanet”) to simulate monsoon formation and found that differences in heat capacities between land and sea were not necessary. Monsoons arise instead because of an interaction between the tropical circulation and large-scale turbulent eddies generated in the atmosphere in middle latitudes. This shows inadequate understanding of what is happening because it implies the monsoons are just large scale mid-latitude cyclones. It is like saying a hurricane is a mid-latitude cyclone. Why are Schneider and Bordoni doing this? The likely answer is the monsoons are major mechanisms in global climate that alone can explain what is wrong with the IPCC climate models and why their predictions (projections) fail. They don’t know how to include them so they try to suggest the traditional explanation is invalid. Chapter 8 of the IPCC 2007 Report identifies the issues and severe limitations associated with the computer models used to make their projections. It is a litany of why the models don’t work and in stark contradiction to the certainties claimed in the Summary for PolicyMakers (SPM) that guides all governments. The list is long and includes major mechanisms. Omission or inadequacy of understanding of any one would cause model simulation of the atmosphere to fail. Most troubling for them is all of them vary sufficiently annually to swamp any possible human input. Monsoons are just one example. In short, most AOGCMs (Atmosphere – Ocean General Circulation Models) do not simulate the spatial or intra-seasonal variation of monsoon precipitation accurately. In Chapter 11 another comment underscores the limitations of the models. Monsoon rainfall simulations and projections vary substantially from model to model, thus we have little confidence in model precipitation projections for northern Australia. More broadly, across the continent summer rainfall projections vary substantially from model to model, reducing confidence in their reliability. One obvious problem is a lack of data. 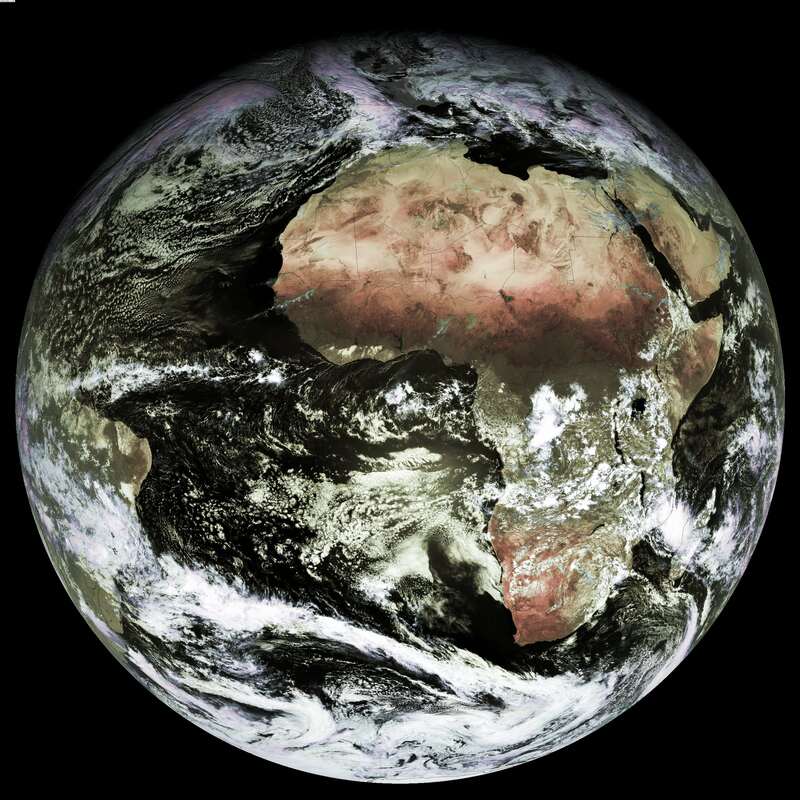 Africa’s network of 1152 weather watch stations, which provide real-time data and supply international climate archives, is just one-eighth the minimum density recommended by the World Meteorological Organization (WMO). Furthermore, the stations that do exist often fail to report. Climate models only have validity if they are verified, but as Vincent Gray pointed out originally and more recently this has never been done with IPCC models. Verification involves the ability to replicate past climate conditions. Tweaking the model until it approximates those conditions is not verification. The conundrum is that without data you cannot create an accurate model or verify it; maybe a classic scientific Catch 22? the tropical region from the deficit of the polar region. The average latitude of the ZEB in Figure 1(A) is 38°N and 40°S. The hemispheric difference is caused by the different land/water ratio. 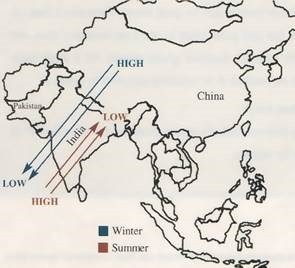 Figure 1 (B) shows the seasonal shift of the ZEB for the Northern Hemisphere with average latitudes of 65° in summer and 35° in winter. The ZEB is coincident with major climate boundaries such as the snow line, the Polar Front, the Jet Stream, and the northern and southern limits of the Boreal Forest. 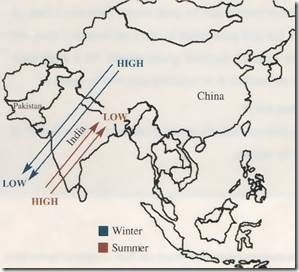 Monsoon as Continental Sea and Land Breezes: The Traditional Explanation. Schneider and Bordoni base their argument for a need for new explanation on the rapidity with which the Monsoon develops and reverses. They imply the major and traditional explanation of differential heating of land and water driving the monsoon wind reversal is implausible. The rate of seasonal change is remarkable and easily exploited as a fear factor among the public who don’t understand or never see the numbers involved in any natural phenomenon. For example, Few know that every summer approximately 10 million square kilometres of Arctic sea ice melt in approximately 145 days – a rate of approximately 69,000 square kilometres every day, an area larger than West Virginia. This is the same mechanism of differential heating that creates the 24 hour cycle of wind reversals near water known as Sea and Land breezes. Land heats and cools more easily and rapidly than water. During the day the land heats more than nearby water creating Low pressure. Air pressure over the cooler water is a relative High pressure, so wind blows from the water to the land – a Sea breeze. At night the reverse occurs as the land cools more rapidly, the pressure pattern reverses and the wind reverses creating a Land breeze. Figure 2: General schematic of monsoonal wind directions. During the winter central Asia cools creating high pressure relative to the warmth and low pressure over the Indian Ocean. Dry air blows out of central Asia and is heated significantly adiabatically as it descends from the Tibetan Plateau. It blows across the Indian subcontinent and surrounding areas as a very hot, dry desiccating wind (Blue arrows). This makes the summer monsoon so important because soil moisture is reduced to the wilting point and is usually insufficient for seed germination. In the summer central Asia warms rapidly and low pressure forms relative to the high pressure over the Indian Ocean. Warm wet winds blow toward Asia that create heavy rain through daily buildup of convective clouds or even heavier rain when orographically lifted by first the Ghat Mountains then more dramatically by the Himalaya Mountains (Red arrows). Data for Cherrapunji (approximately located near the “Low” in Figure 2) illustrates the impact. Precipitation records for 1971-1990 show July the wettest month with 3,272 mm and January the driest with 11 mm. Normally it moves north of the Himalayas by the end of May. If it is delayed, such as apparently can occur with an El Nino, the monsoon flow of air to the interior of Asia is delayed. People climbing Mt Everest know the season is determined by when the Jet stream moves north and climbing becomes possible. Things the Schneider/Bordoni article illustrate beyond the determination to validate the IPCC hypothesis are; inadequacy of the data; very limited understanding of the major mechanisms of weather and climate; and the continued political nature of climate science. The latter involves manufacturing the science to prove the IPCC/CRU hypothesis that human CO2 is virtually the sole cause of warming and climate change. January 2, 2014 in IPCC, monsoons, Weather. Very good observations Dr. Ball. As a way of confirmation, could a regional study be conducted with satellite data, comparing start dates of the monsoon season with differential temperatures of two adjacent regions? 2014… and still going. Really saddening. Do people see the fair weather electric field (high pressure ) is driven by the positive ions (aerosols) and is drawn to the surface by the negatively charged ions released by the 6000k temps generated by earths iron core . Irony. Himalaya glaciers grow with a robust Monsoon. The Monsoon is at it’s most robust when Russia is baking in the midst of an abnormally sweltering summer. As ussual Dr. Ball is right on the ball. Wishing all a happy 2014. The general circulation model ECHAM5 has been used to simulate the Indian monsoon and its variability during the Medieval Warm Period (MWP; 900–1100 AD), the Little Ice Age (LIA; 1515–1715 AD) and for recent climate (REC; 1800–2000 AD). The focus is on the analysis of external drivers and internal feedbacks leading to extreme rainfall events over India from interannual to multidecadal time scale. An evaluation of spatiotemporal monsoon patterns with present-day observation data is in agreement with other state-of-the-art monsoon modeling studies. The simulated monsoon intensity on multidecadal time scale is weakened (enhanced) in summer (winter) due to colder (warmer) SSTs in the Indian Ocean. Variations in solar insolation are the main drivers for these SST anomalies, verified by very strong temporal anticorrelations between Total Solar Irradiance and All-India-Monsoon-Rainfall in summer monsoon months. The external solar forcing is coupled and overlain by internal climate modes of the ocean (ENSO and IOD) with asynchronous intensities and lengths of periods.…..
Varying the solar insolation would vary the energy input, and as Bob Tisdale has indicated cloud cover and ENSO are linked so these papers support what Dr. Ball is saying. Monsoons do not have a role. A role requires volition or design. Monsoons arise under certain conditions, and have certain effects (including the transfers of large amounts of heat, sure). But it is very hard to read about them as if they know what they are doing, and why. Yet another destruction of the climate models based on longstanding observations and theory. Where are the politicians, advisors and the civil servants? How do we escape from the relatively small circle of the converted (cognoscenti)? Stephen Wilde will be along soon to refresh our memories of his plausible hypothesis regarding the vagaries of the jet stream. Not the point he makes about the Monsoons and the climate of the Eocene. It is nukelewus. It is full of portons nand nortrons. With lectrons it somes to zorro except for drypile times. Otherwise it is the passing wind. I get the mechanism for the monsoon but I’m not clear what alternative is being put forward by CRU et al. I enjoyed this arcticle but this last comment annoyed me. A lot of climate scientists are accused of taking results out of context as well as exagerating them, which exactly what you have done with this comment. I don’t think I have ever come across a hypothesis suggesting ”human CO2 is virtually the sole cause of warming and climate change” rather the human CO2 in basic terms has increased the rate of climate change and warming along with natural climate change from various sources. Quite likely Dr Watkins, but the ‘MEP’ (Maximum Entropy Production) system ‘does’ seem to be a foremost attribute within this article. It seems ‘uncanny’ that the ‘ZEB’ (Zero Energy Balance) latitude ~follows the central position of the Ferrel Cell as the seasons change. However, is this due to the centre of insolation, Earth rotation, or the ‘temperature and water vapour content’ (local density) ‘differential’ between ‘land mass’ and ‘open ocean’? A given degree of ‘each’ I would suspect. AFAIK, it’s the anthropogenic importance of CO2. I think the explanation for the hurricanes we get here on the Gulf Coast is that cyclic winds are spilled off of Africa and make their way over here, being amplified by heat drawn from the ocean and the Gulf of Mexico. Is this contrary to Dr Ball’s thesis? There are those who escalate the importance of ‘human induced warming’, and there are those who lower the importance of ‘human induced warming’. I gather you are new to the debate then? cjpman- I’m afraid you are *quite* wrong to say “rather the human CO2 in basic terms has increased the rate of climate change and warming along with natural climate change from various sources.” is the hypothesis being put forward by the IPCC. The IPCC claims that models without CO2 and other (lesser) anthropogenic forcings, cannot reproduce the observed warming: the models with only natural effects essentially don’t warm *at all* over the last 100 or so years, the IPCC regards this as essentially “proof” the warming must be anthropogenic. And let’s be clear, implicitly *entirely* anthropogenic, because the models without anthropogenic forcings *don’t warm*, many of them *cool*. Which actually means that the IPCC claim isn’t that “virtually all* warming was caused by CO2, the claim is, in fact, that *in excess of 100% of warming was caused by CO2*. Although I have not used the term ‘zero energy balance’ in relation to the global air circulation that term clearly refers to the ‘fulcrum’ at the point of balance in tropopause height along the height gradient between equator and poles. I have long contended that the primary adjustment process in the atmospheric air circulation which serves to maintain energy balance for the climate system as a whole is that gradient of tropopause height because it allows latitudinal shifting of the entire global air circulation pattern. Such shifting alters the rate of throughput of solar energy for the Earth’s climate system and is what we perceive as climate change. Any attempt by the system to warm up results in faster energy throughput with more poleward / zonal jets and any attempt to cool down is modulated by slower energy throughput with more equatorwatd / meridional jets. The main causes in changes in that gradient and the latitudinal position of the ZEB are the oceans from below (towards the equator) and solar spectrum / particle variations from above (towards the poles). Tim’s points about monsoonal variations fit with my propositions and with my New Climate Model. Wrong. AR5 has tables and tables of the forcing agents and their relative importance over the last 250 years or so. There are also some substances we emit that have negative forcing. People focus on C02 because its the largest of all contributors, not because its the only cause. People focus on C02, rather than black carbon for example, because they think its easier to regulate. There is a whole landscape of debate open about what to do about each and every one of these forcings. Anthony, for example, agrees that we should take a look at black carbon. Others think we can make some in roads against methane. But you cant even have these discussions if you dont understand that C02 is Not the only GHG. The science doesnt claim what Ball says it does. You can’t debate a science that you fail to read and understand. People will not invite you to debate if you cant get the basic facts right. You might think that C02 will have a lower effect, Anthony does. But you can’t have that debate if you continually lie about the science and say that the science claims that C02 is the only cause. The science doesnt make that argument. It argues there are many causes. C02 is one. It happens to be large. It happens to be a “easy” target. But just because its large you dont get to argue that climate science says “its virtually the only cause” The science doesnt say that. C02 gets all the attention in the press it gets all the attention in the propaganda, but that doesnt mean you get to misrepresent the actual science which puts C02 at 1.68Watts and black carbon at .6 Watts. As far as the climate is concerned Watts are watts, whether they come from C02 or Black carbon, So saying that C02 is the only cause is just telling lies about the science. Again, you beat the C02 story by first getting it RIGHT. C02 is 1.68 watts since 1750. There are other forcings. It is not the only cause. It is not virtually the only cause. And if you look at all positive forcings its not even half the story. A multiple paragraph response. Who are you, and what did you do with poor Mr Mosher? In this case, I have to agree with you on technical merit. However, the story line has been that the climate is changing and the majority of the change has been human induced. CO2 is indeed a sloppy way to refer to human activity, but I for one took that as Dr Ball’s meaning. It is similar to discussions of radiated energy where people who I know for a fact know better talk about heat when they mean energy flux. But my recollection of the AR5 SPM was that it fingered human activity as the major driver of climate change, and certainly that has been the meme for a very long time in this debate. One of my earliest forays into the debate was to point out that if you divided the instrumental record in half, the warming in the second half was about the same as the first half. I was told how stupid I was by the moderator of whatever warmist blog I was on, and that the latter half could not be explained by natural variability. Now the very people who made that claim are arguing that the “pause” is due to the natural variability they once argued wasn’t big enough to cause the very change they now claim it is in fact big enough to hide. Strange how it’s only on Earth that CH4 is this powerful forcing. Poor Titan awash in billowing clouds of ch4 and yet the moon surface is at ambient temperature. When ever a substance is given special properties on Earth that don’t apply to other cases, moons, planets, what have you, it reminds me of the Ozone hole, and how every other planet with an appreciable atmosphere has it’s own polar analog of the ozone hole. Remember that story about how researches doubled their estimate of how much ch4 is released from Arctic permafrost, so like overnight there was twice as much ch4 in the air, and yet strangely the temperature didn’t jump. Neuculis of Borg. Resiswance is futile. One can’t have a debate with someone who acts like a belligerent know-it-all talking down to his inferiors who looks for any excuse to avoid discussing the substantive point and instead focus on picking apart some statement that has earned his umbrage for no adequately explained reason. But I had to laugh at the idea that there are people who think CO2 would be *easier to regulate* than black carbon. Uh, little clue here buddy, which of these two things is *already* well regulated in most of the advanced economies of the world? In Norse mythology the worm or dragon Niohoggr perpetually gnaws at the root of the tree of life Yggdrasil. In like manner the CAGW collective are doing their best to gnaw at the tree of scientific knowledge. The name is Allerød, not Ållerød, as anyone with even the slightest knowledge of Quaternary Geology knows. It’s no mystery why GCM can’t really handle monsoons (or precipitation in general for that matter). In modelling precipitation orographic effects and rain-shadows are all important. Now, these aren’t impossible to model from a mathematical point of view, it is really only a matter of aerodynamic adiabatic (mostly) flow over an uneven surface. As a matter of fact most of the needed development work has already been done by the aerospace industry. The big hurdle is that the modelling must be done at kilometer-or-smaller scale and in three dimensions, the 50 or 100 km cells used in GCM are as utterly useless for this as they are for thunderstorms and convection cells. To do this realistically probably requires at least a million times more computer power than current GCM:s use, so it is hardly likely to be possible in the near future either. Until then it’s parameterizations all the way down. Well, well, well, aren’t you the Mann for all Seasons! I’m glad it’s not just me that thinks this! Another good post, many thanks Dr. Bell. H2O vapor (humidity) is claimed by everyone to be a GHG with the same/similar physical properties of absorption/radiation of IR energy as does CO2, CH4, etc., ….. so just why is it INTENTIONALLY omitted from all such lists of … “substances that cause positive forcing”. If one (1) GHG functions as a “positive forcing” ….. then all GHGs act as a “positive forcing”. It is “science silliness” to claim any such things dating back to the year 1750 …. but it is the ultimate “junk science” chicanery to utterly ignore the effect of atmospheric H2O vapor (humidity) on near-surface air temperatures for the sole purpose of justifying “average temperature increasing” claims resulting from increases in atmospheric CO2. Increases in near-surface air temperatures due to the effect of GHGs are not cumulative from one year to the next, ….. let alone from 1750 to present. Right, …. watts are watts, whether they come from H2O vapor (humidity), C02 or Black carbon. And right, one misrepresent the actual science when they intentionally exclude the H2O vapor (humidity) and the far, far greater amount of watts it contributes than all the other GHGs combined. Junk science is junk science. Thanks Dr. Ball. A good article. We seem to have picked up a fascination for the man-made bizarre while forgetting to increase our understanding of what we already know is naturally happening. If we don’t stop digging this scientific hole that discovers one impending catastrophe after another, we’ll just self-destruct. Does water vapor belong on Mosher’s list or not? Yes it is responsible for the bulk of the “greenhouse effect” and its exclusion seems odd; but, I’m going to defend Mosher’s statement, which I read simply as a list of primary forcing factors with well established values. Water vapor differs fundamentally from those on the list in that the forcing it provides is not only varaible, but is a function of temperature, or if you will, it provides the possibility of strong feedback–including feedback from changes in CO2. Maybe CO2 behaves somewhat like water vapor in this manner, but I think it seems reasonable to handle water vapor as fundamentally different than those substances on Mosher’s list; and, as having such a complex effect no one could reasonably place it on the list. Mosher simply wanted to point out that data demonstrates CO2 is not the entire story. What Mosher says regarding the data is true; unfortunately there are people who firmly believe that CO2 is the entire story and those people are a pain. The statement about CO2 being known since 1850 as the principle driver of climate may have been so at one time, but is hard to square with what we know now. Ice cores strongly suggest temperature change preceeds CO2 change–i.e. the causality is wrong. In fact, people who strongly think CO2 is the entire story will admit to the meaning of the ice core data, but will insist that this time is different. Via law-constrained observation, what’s missing from B is geometrically proven in A. This proof applies to constant, fixed multidecadal solar activity amplitude. Thanks to the author for another writing of interest. I agree with the “severe limitations” of not understanding nor explaining water in all of its phases and its many wonders. It seems to me that these models and ‘climate moments’ (my term?) are not very fluid, In other words, the flow of energy appears to be determined by ‘local’ conditions, local to many different locales. and to the comments/conversation a question…. If I heat a substance in the open air, can the substance heat me with the energy I used to heat it ? and does/can the substance direct its heat ? my reasoning follows: Because if not (refering to that list of positive forcing substances from a comment) I don’t know if those watts or fraction of watts are being received by the surface. If not the surface then where do those watts do their work?and if their work is done somewhere in the atmosphere, doesn’t that set up another location where that energy is doing its work on its way to…? as in ,said substance at some level off of the surface now getting heated ,heats up other substances in its local environment ?Please excuse my lack of understanding if i’m not getting it, I am here to learn about the subjects posted. I am only a rider of the information superhighway who happened to be in the WUWT area and noticed some new posts were up as i went by. an aside: i have resolved ,in the New Year ,to not interrupt and/or disrupt the comment stream and to read/study more and to improve my writing/commenting style. CO2 is both a driver and a feed-back – because of the carbon cycle. The causality is correct (for times of ice-core data) as CO2 would naturally follow temp,s as it is NOT the primary driver. Solar input/albedo in the NH is. Which brings us to the Earth’s orbit around the Sun ie Milankovitch cycles. The Earth slowly enters less favourable orbital parameters re NH warmth (~centuries/thousands yrs). There becomes less summer melt – leading to a build up of ice sheets at high latitudes. Air and sea temps fall due increased albedo. A sea temps fall the oceans become net sinks for CO2. CO2 content in the atm falls – less GHE – more cooling – less WV content – more cooling,in a vicious circle until finally SW absorbed balances LWIR emitted (note – millions of years ago this may well have balanced at a much higher ppm of CO2 due much higher albedo). In turn the Earth moves around to a more favourable orbit and increased Sun at high latitude in the NH slowly melts ice sheets in ~ hundeds/thousands years. Decreased albedo – more absorbed SW and increased temps to emit more LWIR. Oceans warm, less CO2 absorbed, and more released from land – WV increase – feed-back to greater warming > inter-glacial where Albedo vs SW absorbed with LWIR emitted become stable along with GHG’s+WV. What is not a normal planetary process is increasing CO2 accumulation (unless chronic enhanced vulcanism). In this instance, uniquely, GHG’s will begin to drive temps. It is not Mosher’s list. He was simply quoting a list of GHGs that is touted by most every proponent of CAGW in their defense of their global warming agenda/beliefs. If H2O vapor (humidity) is excluded then it IS NOT a list of primary forcing factors. It is utterly asinine for anyone to include the “forcing effect” of 398 ppm of CO2 … and exclude the “forcing effect” of 15,000 ppm to 40,000 ppm of H2O vapor (humidity). And there is no such thing as “well established values” for any of the GHGs. Said “values” are little more than “best guesses” that are based on highly questionable proxy data. I do not believe it is possible for anyone to measure the “forcing effect” (warming) of the lesser quantity of gas (CO2) in a mixture of two different gases when the quantity of the greater volume of gas (H20 vapor) is constantly changing from hour to hour, day to day and month to month. Especially when said greater volume of gas (H20 vapor) has a potentially 239.2 greater “forcing effect” (warming) on said mixture than does the lesser volume of said gas (CO2) in said mixture. UH, … uh, … the “forcing effect” (warming) of all GHGs is a function of their temperature (absorbed IR energy). “ …. or if you will, it provides the possibility of strong feedback–including feedback from changes in CO2”. The “feedback” of absorbed IR energy from 398 ppm of CO2, even if it increased to 500 or 800 ppm, …. would still be insignificant, and immeasurable, ….. if intermixed with and/or compared to, the “feedback” of absorbed IR energy from 15,000 to 34,000 ppm of H2O vapor. Thus it is utterly silly for the proponents of CAGW to be claiming that the atmospheric H2O vapor is the “forcing” backfeeder of thermal energy to the atmospheric CO2 ….. and that the atmospheric CO2 is then the “backfeeding” forcer of said thermal energy to the surface of the earth resulting in its increase in temperature. I don’t disagree with your points, especially to the point about water vapor being able to swamp completely the impact of CO2 at any reasonable value.But I don’t understand what is silly about the coupled feedback of CO2 and water vapor. Increasing temperature from elevated CO2, in turn, increases water vapor and that, in turn, increases temperature. This a feedback loop–more complex than the smaller direct influence of CO2, but a feedback loop just the same. My point is that for what Mosher was trying to illustrate his list without water vapor served his purpose. I do not know what value the global variation of column water vapor has, but it is surely far more variable than the equivalent measure for the items on Mosher’s list. This is why I said water vapor is fundamentally different than the others. It just seemed that people jumped on Mosher for this list, which seemed pretty reasonable to me. I see your point, but part of your response simply begs the question of what causes the temperature to vary in the first place. If the temperature coefficient of CO2 concentration is so large as you claim, and if CO2 is, as you say, the primary driver of climate, then how does the climate have any stability at all? Why, in that hypothetical case, is the climate not driven constantly to the “rails” and stay put? What you are proposing is all positive feedback. Moreover, if variations in insolation trigger a big response through temperature variations in CO2, then why wouldn’t water vapor play a much larger role here also? It has a far larger greenhouse effect after all, and colder air presents a much reduced column total of water vapor. What I was referring to was the concentration of these substances as a function of temperature which is also a contributor to their greenhouse effect. Sorry, but the very existence of the troposphere and topopause means that infrared trapping is irrelevant. By Definition: the troposphere is convective due to the lack of radiative cooling. 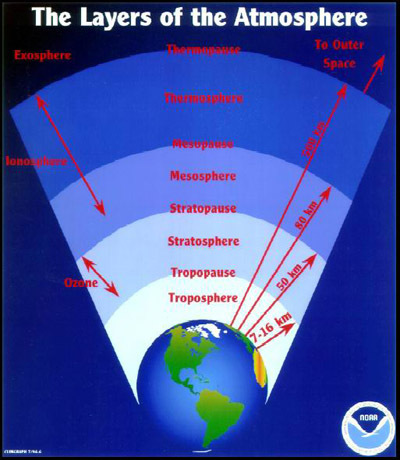 The tropopause is where radiative effects can start to matter. Practically every night during the summer we have a katabatic wind where I live. It begins as air cools through radiation over a broad region west of me that is 7500 feet or higher in elevation. In fact, most places in the West cool quickly at night because the air is dry. Radiation matters in variety of circumstances down in the troposphere. No, I don’t’ say CO2 is the primary driver. It’s actually a feed-back. Ultimately there can ONLY be 2 things that drive climate (without anthro effects). 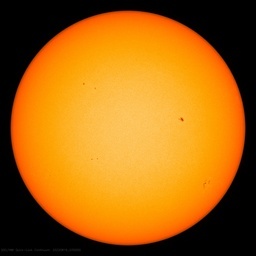 Energy in – Solar (variation in irradiance – which we know at 0.1-0.2% is too small to blame over relevant history). And the orbital characteristics of Earth with regard to insolation received at high northern latitude (~65 deg N). As this is the most sensitive to absorbed SW being of large land-mass vs ocean. The other side of the equation is LWIR emitted to space and this is where WV and GHG’s come in. The first response to less sunshine/lower temps will then be with WV, then the next will be increased albedo – the change as snow/ice accumulates in these N latitudes and reflects solar, reducing further the “IN” side of things. So it’s complex string of cause/effect/feedback – starting with a change in energy in (usually). This equation can/has been affected by vulcunism – both sides – in reflecting solar, but in the distant past via out-gassing of GHG’s and holding more LWIR back. Kevin K, first you have to understand what the term “ppm” means. Kevin, the atmospheric contains 20.95% Oxygen (O2) …. which is equal to 209,500 ppm of O2 … or 209,500 molecules of O2 per 1,000,000 molecules of air. The atmosphere contains 0.0398% Carbon Dioxide (CO2) … which is equal to 398 ppm of CO2 … or 398 molecules of CO2 per 1,000,000 molecules of air. But now Kevin, in the earth’s Temperate and Tropical Zones, where 80+% of all Solar heating occurs, the atmosphere contains an average of 2% to 4% Water vapor (H2O) …. which is equal to 20,000 ppm to 40,000 ppm, respectively, … or 20,000 to 40,000 molecules of H2O (water) per 1,000,000 molecules of air. Now I ask you Kevin, just how much of a “coupled feedback” of thermal energy can 398 molecules of CO2 ….. have on 20,000 to 40,000 molecules of H2O vapor? Given the FACT that both molecule types are absorbing and emitting IR energy, I really don’t think those 398 molecules of CO2 are helping much with that “coupled feedback” thingy. As a matter of FACT, … if you increased the CO2 ppm by 402 to a total of 800 ppm ….. if would have no more affect on the air temperature than it would if you increased the H2O vapor by 402 ppm to a total of 20,402 ppm. And ps, 20,402 ppm of H2O vapor (humidity) is little more than a moderately humid July 4th day in New Jersey, PA or where ever you might be. You simply don’t understand. The proponents of CAGW …… EXCLUDE the atmospheric H2O vapor (humidity) from that “list” simply because the inclusion of it would NEGATE all their “junk science” claims about CO2. It is an “out of sight, out of mind” thingy. Well, ….. surprise, surprise, Kevin K, …. just how is it possible for the air to “cool quickly at night” ….. given the FACT that the night time air contains the same 398 ppm of CO2 as does the daytime air? I betcha iffen you increased the CO2 to 800 ppm it would still “cool just as quickly at night”, …… right, Kevin K? So what does that tell you about the “increased anthropogenic warming effect” as a result of an increase in atmospheric CO2? It tells me that the “effect” is so miniscule that it can not be measured. Not only are the proponents of CAGW guilty of “hijacking” the Interglacial Warming from 1870 to present and attributing all said warming to their “junk science” claims about CO2, …. but they are also guilty of “hijacking” the warming effects of atmospheric H2O vapor (humidity) to justify those same “junk science” claims about CO2. The thing to remember about the GHE is that all LWIR has to exit at the TOA (top of atm). So adding more GHG to the high atmosphere will mean that emission is transferred yet a little higher – to a colder zone – meaning less efficiency in that emission. You have to think of the path-length of the radiation (analogous to putting on thicker insulation). Temperate zones contains a lot of (relatively) dry air – within sub-tropical highs at 30 N/S and over desert, so indeed additional GHG is significant. Man uses microwaves for communications and remote sensing . The ERP for american TV transmitter is 100.000 watts . Why is the wireless electronic industry allowed to use the atmosphere as part of their inforstructure when they know the result is heat . You musta meant “high troposphere“, …. not atmosphere. But who cares about “less efficiency” at that altitude because the temperature there is like -60C (-76F). Like the winter surface temperature in Antarctica. Bad analogy. The higher the altitude the lower the air pressure. And the lower the air pressure means the lesser number of air molecules and the farther the distance between them. Thus your “thicker insulation” would be like putting a fishnet on top of your bed covers to keep you warmer. And don’t be forgeetin that those GHG molecules absorb the LWIR from a “point source” and re-radiates it in all directions, thus very little of it is radiated directly back toward the earth’s surface. Like a light bulb that absorbs its energy from a “point” source (electric wire) and re-radiates it in all directions as “visible light”. No they don’t. Temperate zones contains a lot of (relatively) moist air …. thus indeed additional H2O vapor (humidity) is a significant factor. The other GHGs would have to be above 15,000 ppm before they would become a significant factor. CH4 maybe a little less. TB, think of the atmosphere and the transfer of IR energy between GHG molecules …. like watching the “action” of the “flashing lights” of a Pinball Machine when you “shoot” all five (5) steel balls out at the same time. You must a meant “high troposphere“, …. not atmosphere. But who cares about “less efficiency” at that altitude because the temperature there is like -60C (-76F). Like the winter surface temperature in Antarctica. No I did mean High atmosphere – to include the Stratosphere – which is exhibiting cooling as it’s at the region (TOA) where emission is greatest. And Low temps is vitally important because the Earth cant hold onto the LWIR – it just has to let it go or we’d really be in trouble (no livable planets actually). Because the IR is emitted from GHG molecules which are at a lower temp, which is less efficient and therefore has a greater “insulation” effect. Err – read a little lower please. No they don’t absorb from a point source – just as they radiate to all directions, they absorb photons similarly from all directions (but mostly from below as they get higher in the atm). A predictable proportion of those photons are redirected downwards, and not “very little” since anything below the horizontal includes a downwards vector. Err, they most certainly do – sorry to pull rank – but I’m a retired Meteorologist (same as Anthony’s profession) . Shows max LWIR emission (Analogous to dry/warm ) just where I said – concentrated within the Sub-Tropical High pressure belts and over N Africa. You do know that the descending arm of Hadley Cells dry out to a vast extent to form the belts of HP? A better analogy is one of those Japanese pin-ball machines (Pachinko) that drop down and they collide with pins on the way down thus slowing/diverting their path. If the “depth” of the pins was greater they’d take longer to reach the bottom. Of course the TOA is where emission (into space) is greatest. It’s the only place the emission of LWIR into space occurs. But the greatest emission of LWIR occurs at/from the surface of the earth. And the 2nd greatest emission of LWIR occurs where ever the greatest amount of atmospheric H2O vapor exists. Now that is called “weazelwording”. It matters not a “twit” what the temperature of the GHG molecules are. If they contain IR energy then they will be emitting IR energy and cooling down in the process. But if they are absorbing more IR energy than they are emitting then their temperature will increase. DUH, what do you think density means? The color of the GHG molecules or the color of of those IR photons, per chance? The photons are a point source. And “yes”, GHGs can or will absorb photons from all directions … but only IF and when one of those photons strikes a GHG molecule. And the higher up in the atmosphere those GHG molecules are, …. the less chance there is of them being struct by a photon. “YUP”, ….. but the higher up in the atmosphere those GHG molecules are, ….. the smaller n’ smaller the “target” for that downward vector becomes. Even at the surface with a flat area to the horizon there is less than a 50% chance of the emited IR striking the surface. And it decreases exponentially the higher in altitude the GHG molecules are. That’s OK, I’m a retired computer design engineer and I have an AB Degree in Physical and Biological Science so ya best be careful how you … jerk on my chain …. because “rank” means nothing to me. Degree or no degree, only your ability to apply your learned knowledge matters to me. “Analogous” means nothing to me other than “weazelworded” rhetoric. A vast extent??? More of the same, HUH? Iffen you don’t know how much H2O vapor ppm is in that air then you don’t know diddly. But I’ll bet you a cold beer that the H2O vapor content is greater than 5,000 ppm (0.5%). Which is 12.5 times greater than the 398 ppm of CO2. That was a tad better analogy, ….. but no Cupie doll winner for you …. because it doesn’t simulate the density of the GHG molecules in the atmosphere. You will have to decrease the pin “density” (remove them) as the “depth” of the pins increases …. to actually simulate the atmosphere. And when you do that the “pin-balls” will reach the bottom a lot quicker. And that is exactly what happens to those “hot” daytime desert temperatures just as soon as the Sun goes down. Due to the extremely low H20 vapor ppm in desert locales, the IR collisions are greatly reduced …. and thus the IR quickly escapes to outer space …… and the temperature “drops like a rock”. From 100+F down to freezing (32F) or below in just a couple hours or so. And that is a FACT, whether or not you want to embrace it. OOPS, miskeyed my “edit” characters in that last paragraph. “Of course the TOA is where emission (into space) is greatest. It’s the only place the emission of LWIR into space occurs. Again, incorrect appreciation of radiative transfer re reference to point of exit from the system. All LWIR has to exit at TOA – Whether WV stops it being “captured” by CO2 in the lower Troposphere or not. The point of exit “the outside door” is at TOA. It is therefore vitally important in the transference of LWIR to space. No matter what happens below that level, if there is a greater vertical depth of GHG molecules aloft then IR will be slowed. It is also NOT up for dispute that large areas of the Sub-Tropics belts are HP cells. Under the descent arm of the Hadley Cells. And therefore dry apart from shallow CuSc (convective cloud) forming in the Trades over ocean. Therefore there exists a large low humidity pathway for terrestrial LWIR to space. TB says: “Because the IR is emitted from GHG molecules which are at a lower temp, which is less efficient and therefore has a greater “insulation” effect. Not “weazelwording” at all – Just basic radiative (S-B) physics – look it up in text books (or re-read) and also try Beer-Lambert for an explanation if the logic of it evades you. It’s quite simple. IR “photons” have their path-length increased as GHG molecules aggregate higher up. These molecules additionally are at a lower temp than any below and so are less efficient at re-radiating them. 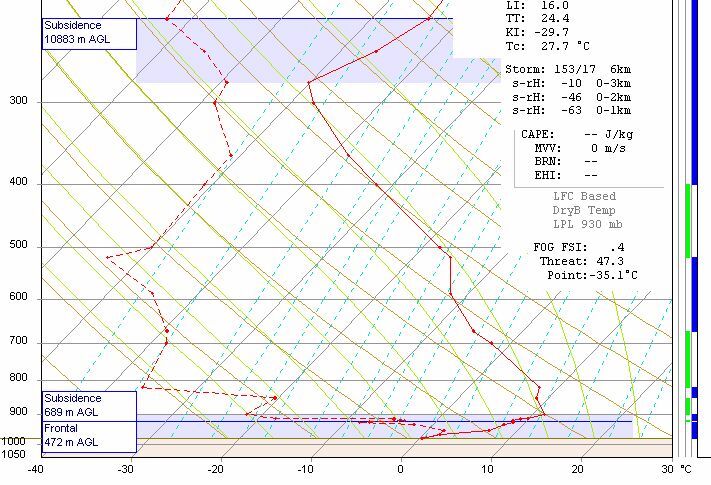 Also try examining a typical tropical LR (lapse rate) – I think you will find there is a LR right to the Tropopause. Therefore a GHG molecule closest approaching said Tropopause will be colder. And the IR absorption “warming” is irrelevant since relative to those molecules below it (at higher temp), as they are also receiving IR and likewise warming/cooling via absorption/emission. No, your analogy of “Fishnet” is essentially a 2D object it has length + width but negligible height. If you have a problem with what I said, then I suggest it is your analogy that’s at fault and not my correction of it. Which is correct. Look, a “source” is, like, the source of the photon – and not the photon itself. And indeed emitting LWIR comes from a massively “blurred” source and certainly not “point”. Look, we’re not talking quantitatively here – we are talking relatively – as in changes from past conditions. The point is GHG molecules in the higher atmosphere present a “resistance” to outgoing LWIR that is continually being added too. So there is an effect – I didn’t say it was massive – obviously not, but modelling/empirical learning from the ~150 years of research says it HAS an effect. “That’s OK, I’m a retired computer design engineer and I have an AB Degree in Physical and Biological Science so ya best be careful how you … jerk on my chain …. because “rank” means nothing to me. And likewise your reasoning to me – I was just letting you know where my reasoning came from. No jerking (of anything) from this end. “Weazelword” again – is that “analogous” to “I can’t think of a scientific response” so I’ll just …..
Again, It’s quite simple, basic Meteorology. Google it…. Does it look to you that cloud dominates the sub-equatorial zones? Really? My above disputed statement is correct. No , just more basic meteorology. PPM of H20 is in the figure you quoted anyway was a tropospheric tropical average that is much less than that found in the dry zones. When considering the dry high Troposhere and especially dry air within the sub-Tropical HP, not to mention the Sahara. 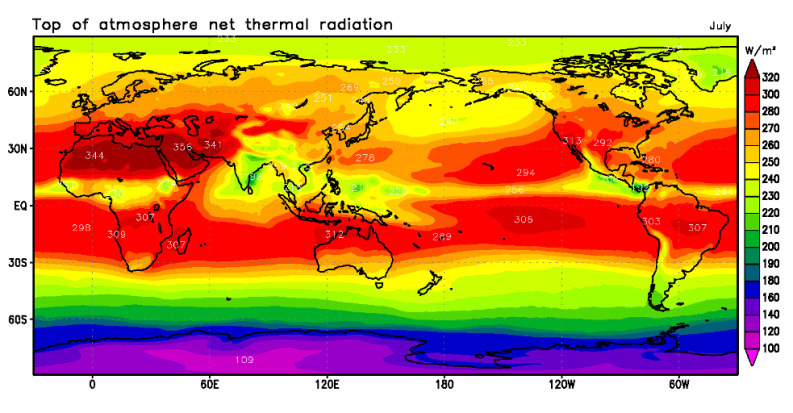 I’m sorry but if you cannot assimilate the image of global LWIR emission I linked, then I’m flogging a dead horse here. You again exclude from your “density” the simple concept of path-length. That is in addition to density (disregarding repeated collision) – That’s what the Pachina analogy is about – yes, of course the density of “pins” that impact the ball on its fall slows – but so too does the few extra pins added at the bottom of its fall – an increase in path-length. Again I ask you to read up Beer-Lambert – or at least reread it. Thankyou for proving my point – as you started out this “discussion” by stating…. So you originally wanted to rule out a CO2 GHE by arguing H2O/WV dominates that effect and now you (thank-you) say deserts are dry and so do cool. Precisely, as does the clear sub-Tropical HP belts you see on the Meteosat Pic I linked and the LWIR emission scan I linked earlier. Oh, and you are also ignorant of another piece of basic meteorology – the surface inversion – this in a desert will be just a few feet above the surface due near calm conditions and a highly insulating sandy surface (to high sub-surface temps) under clear skies. All the heat lost by night-time radiation in desert is confined to a shallow layer at the surface and is rapidly reheated by Solar SW soon after sunrise and convected aloft (dry – so no visible thermals/cloud) to maintain a generally stable max temp ( in absence of advection of warm/cooler air). Look H2O is not excluded (for whatever reason you might imagine) – It’s just that it is NOT the whole story. By computation, the relative humidity in bulk of that profile is above the more moist boundary layer is <%. TB, … “Who cares”, …. what the “greater vertical depth of GHG molecules” are that exit in the atmosphere above the Troposphere? “Who cares” if those resident GHG molecules above the Troposphere will or are “slowing down” the IR energy that is being radiated away from the earth’s surface? Once the radiated IR energy escapes past the top of the Troposphere it matters little whether or not it is absorbed and re-emitted by GHG molecules residing therein. It matter little because that WEE PORTION of re-emitter IR energy that is directed back toward the earth’s surface has to pass back through the upper Troposphere which is chock full of other GHG molecules whose temperatures are at -70C. Thus little, if any, of it will make it back to the earth’s surface, therefore there is nothing “vitally important” about it. TB, your “vitally important” thingy is akin to you standing outside in -20F temperatures with a big campfire burning brightly one (1) mile from where you are standing and you claiming that the IR energy being radiated from that campfire is “vitally important” in/at keeping your arse from freezing solid. TB, I know what the study of Meteorology entails ….. but apparently you don’t realize that the study of the Physical Sciences includes the root science upon which all of your Meteorological studies are founded. That’s fine, but this discussion is not about weather forecasting and thus it puts you at an educational disadvantage in responding to my commentary. TB, I have never mentioned or made reference to clouds, fogs or mists in this discussion simply because they are “visible” water (H2O) droplets which drastically affect the transfer of thermal energy in the atmosphere via both IR radiation and visible Sunlight sources. And that is why I have specifically stated “H2O vapor (humidity)” that defines the non-visible H2O molecules resident within the air. When clouds, fogs or mists dominate a portion or part of the near-surface atmosphere then the “rules” for the “whole ballgame” changes because they not only act as a “transporter” of thermal energy but also as a “bi-directional” buffer that “controls” the direction of thermal energy radiation. And said “direction control” is dependent upon whether it is night time or daytime. And iffen the “truth” was known, fogs probably have as much or more effect on near-surface temperatures than clouds do. But neither Climatologists nor Meteorologists seldom if ever mention that fact …. nor do they even venture a “guess” as to the extent of said affect. None is keeping track of …. low-land fogs, valley fogs, mountain fogs, pond fogs, lake fogs, river fogs, seashore fogs or ocean fogs, …. all of which affect near-surface air temperatures. And TB, said non-GHG gas molecules are the primary “absorbers” of thermal energy directly from the earth’s surface and therefore they are surely the primary “conductor” of said thermal energy to the GHG gas molecules that are in the near-surface air ….. which they will then re-radiate it as IR. Samuel – you might not “care” but the physics says the atmosphere does. Like I said, go check out Beer-Lambert and all the experiments/mathematics that prove it correct. Samuel: Again I refer you to Beer-Lambert. Or alternatively write a paper refuting it. You again have an incorrect concept of the GHE effect. LWIR does NOT have to make it all the way back to the Earth’s surface at those altitudes (why is it not obvious that it logically cant?). Like the Pachinko analogy – there are too many pins in the way – what happens is that LWIR is further SLOWED in emission via re-emittance/absorption in the layers below. That’s all, nothing complicated. Just an added small incremental “insulation”. Samuel: No, it’s not, as the entirety of LWIR photons travel to space through that “door”. Your analogy above nowwhere near compares, as there we have the inverse square law at work which limits the energy emanating from that “campfire”. Ie, the fraction of energy you imagine there is MINUTE in comparison with the total energy the “campfire” emits. At TOA ALL that campfires energy passes to your “arse”. Do you not see. The point is ALL LWIR reaches that ARSE to get past it to space. Samuel: LWIR, once past the lower layers of the Stratosphere – where greatest emission occurs (confirmed by satellite sensing) – is relitively free to escape. And as I say, this layer of greatest emission will rise with further addition of GHG’s. BUT be less efficient because of your “GHG molecules whose temperatures are at -70C” – further adding to the GHE. Samuel: Where on earth to you get that bit of inverse logic from? Your “I know what the study of Meteorology entails….. puts you at an educational disadvantage in responding to my commentary”. Since when does a career in Meteorology make me at a disadvantage to ANYONE (note I didn’t say superior to) on the subject of Meteorology??? I think (hope) that with reflection you will think better of that. Look Samuel – I’m not someone who is an “anorak” (UK analogy) of weather. The UKMO don’t just trawl for them and let em loose on an RAF base to give advice to highly trained fighter pilots flying jets costing up to £100m. Nor allow them to advise commercial jet’s both verbally and via compilation of Internationally approved charts for dissemination to the CAA. You know? – seems not. I have qualifications in Maths/Physics/Computing/Stats – not to mention 3 years prior studying to be an engineer. That not taking-in of course, several months long courses/refreshers and 32 years of on the job training. I’d kindly ask you to put your hubris away. Samuel: And I have shown you in multiple ways that I am not referring to clouds in preference to humidity. What did you not understand about the significance of that Tephigram I linked showing drying via subsidence in the sub-tropical HP belt? What is it you don’t understand about the mechanism for that drying? Samuel: No they don’t change the rules – as LWIR still HAS to exit at TOA. Equatorial temps don’t keep rising. Heat cannot be retained indefinitely, which is why sensible/latent heat transfer towards these sub-tropical HP cells within Hadley cells allows that because there is a window to either side/above provided by this drying. LWIR radiates very efficiently from Fog tops BTW (as I have many times observed on base with echo-sounding equipment and seen on tephigrams while preparing forecasts). The surface cooling is simply transferred to the fog top and the cooling there transferred back down through the fog layer to the surface via gentle turbulent mixing. How else do you think a surface inversion keeps developing when a surface layer fogs out? Or didn’t you know that it did? Samuel, It’s just not in dispute in the meteorological community – sorry. As I keep trying to say – maximum LWIR emission just moves to a higher level when “blocked” by a GHG. I made I typo there and omitted to correct – I of course meant that the Tropospheric Tropical average was much more than the average. Samuel:The satellite sensing shows where it exits, yes and cannot in entirety show the origin point – which is why you need to understand Meteorology and air-mass circulation – I have detailed the transport of tropical heat to these net emitting regions above and prior. Samuel: I agree but only because they comprise ~99% of the atmosphere. They will absorb additional “conducted” thermal energy from GHG’s as they absorb LWIR. Yes, indeed they “will then re-radiate it as IR” – it’s all taken care of in the transport of thermal energy from the Tropics to zones of more efficient LWIR emittance – TOA and the dry HP zones either side where converged air at the sub-Tropical Jet subsides (dries) to form the sub-Tropical Highs. Any IR that makes it above the Troposphere will never make it back to earth because of the “absorption coefficient of the substance (GHGs)”. And if the IR does not make it back down to the near-surface atmosphere then there is NO greenhouse effect associated with it. 6. The incident flux must not influence the atoms or molecules; it should only act as a non-invasive probe of the species under study. In particular, this implies that the light should not cause optical saturation or optical pumping, since such effects will deplete the lower level and possibly give rise to stimulated emission. TB, …. Beer-Lambert refutes what you are claiming, …… so you write that paper. “You again have an incorrect concept of the GHE effect. TB, I now understand what the problem is, ….. and that is, …… you really don’t have a clue about what you are commenting on, do you?